By automating time-consuming, repetitive tasks organisations stand to improve their productivity and gain competitive advantage. There is a lot of talk about AI and how it is going to transform the way we live and work. There is less talk about robotic process automation (RPA) but this technology is changing the way we do business now. But what is RPA? It’s the use of software ‘robots’ to automate business processes, for example, back-office functions like invoicing, or IT Helpdesk functions like ticket management. By automating time-consuming, repetitive tasks organisations stand to improve their productivity and gain competitive advantage. However, software robots can also be used to ensure greater accuracy and compliance of data by removing human error, which in turn provides greater security of data and information. A real bonus for those companies concerned about meeting the new GDPR regulations. Software robots work automatically and systematically to carry out prescriptive, logic-based functions to automate end-to-end processes or process parts. They do this without the need to modify underlying systems and can speed-up back-office tasks in areas such as procurement, finance, IT, human resources and business processes. Recent research found more than half (57 per cent) of the UK’s SMEs fear big businesses use of RPA will help to drive them out of business in the next five years. But this doesn’t need to be the case. There are now RPA offerings that can be purchased by SMEs at affordable prices as part of Software-as-a-Service offerings. The technology is relatively simple to implement and requires little or no infrastructure and application re-architecture. SME and IT solutions provider, Ultima is using RPA across several of its own business processes and has seen some dramatic changes in productivity. The CEO, Scott Dodds, estimates the company’s overall productivity has increased by a factor of two, allowing its staff to focus on growing the business and delivering an improved customer service. Ultima is using RPA is to automate some of its forecasting and planning tasks within the business. Software robots collate real-time sales and marketing information and process all the information they collect during the day to produce detailed forecasts and business intelligence for the next morning. To collate this information and analyse it would have taken approximately eight to ten hours per day of staff time. As a result, the business has improved business intelligence to plan with, and staff have more time to spend on customer service and strategic thinking. Within most businesses IT support teams spend considerable time undertaking manual administrative tasks, such as backups, running diagnostics or system checks and managing patch processes. Using RPA software frees these people to concentrate on higher priority tasks. Or they can work on business improvement and change projects without the need to increase headcount. Ultima calls its software robots ‘Virtual Workers’ as they do the tasks that normal humans would. For example, they handle the processing of tickets that come into its IT managed services desk, but as the software robots are available 24/7, 365 days of the year the company is able to respond to customer needs faster and more accurately. The robots leave no room for human error. Where once they had between six and ten touch points for staff logging and dealing with each IT ticket they now need only two. The reduction in the number of times a member of support staff has to handle each ticket has led to huge productivity gains. RPA is also helpful in human resource processes. Multiple teams or even third-party providers, partners and customers need to be involved for some starter and leavers’ processes. In many cases, these process ‘islands’ are linked by inefficient hand-offs which slow down processing and can result in errors. At Ultima when people join or leave the firm there are many routine and mundane tasks that HR staff used to spend many hours completing, for example, ordering new equipment and logging them on to IT, HR and financial systems. With their new ‘Virtual Workers’ this is done automatically once the main details of the joiner are put on the system. And indeed, if anyone leaves, their equipment is automatically recalled and they are logged off all appropriate systems. Ultima has also automated some of its invoice posting activities and is currently analysing other processes it can automate to create savings. Within any corporate function, there are a many cyclical activities which are strong candidates for automation. RPA can be implemented to handle everything from accounts payable, accrual bookings and credit checks, to salary processing, tax reporting and auditing, improving standardisation and speed of execution. Contact centres and service desks tend to use several different systems and applications, and often undertake a high volume of low complexity, repetitive tasks such as fulfilling service requests. Service agents often have to navigate multiple applications while simultaneously managing the call with the customer. Where customers make contact via email or messaging systems, agents are required to translate this information from those systems while executing the required actions. Software robots can improve the experience by streamlining processes and enabling customers to leverage self-service portals for common requests. By simplifying the service agent process with the automation of tasks, and the introduction of Natural Language Processing (NLP) for extracting key information from emails and messaging chats, agents can focus on providing the best experience for customers. Interestingly, Ultima’s research of SME senior executives found that two-thirds of businesses want to use robotic process automation. With sixty-five per cent of companies reporting that they either plan to or already automate repetitive, time-consuming tasks. It found the financial services sector leads the charge, where more than 80 per cent of companies either planning to or already automating at least some of their processes. Now is the time to sit down and think about which internal processes could be automated to create efficiencies in your business. Ultima has only automated five key processes, but the returns have been dramatic. Most businesses will have several processes they can automate; some businesses will have tens if not hundreds of processes that can be automated. Working out which ones to automate should be done on a clear ROI basis and by looking at where mundane tasks are hampering staff’s ability to work on more important items. RPA is an opportunity to free up staff time and allow them to focus on more strategic work. McKinsey’s research has shown that employees welcomed the technology because they hated the boring tasks that the machines now do, and it relieved them of the rising pressure of work. The research backs this theory up. 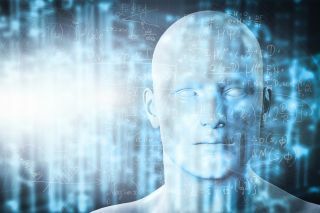 It found 77 per cent of respondents want to use RPA to automate mundane, transactional tasks, and 56 per cent said freeing up staff time to focus on more strategic work was a key driver for using RPA. It’s exciting to discover just how much staff time can be freed up by implementing RPA across just a handful of processes. Now is the time to embrace the opportunity of implementing RPA to dramatically increase productivity.